Reversible polyhedral modelling of discrete objects is an important issue to handle those objects. We propose a new algorithm to compute a polygonal face from a discrete planar face (a set of voxels belonging to a discrete plane). This transformation is reversible, i.e. the digitization of this polygon is exactly the discrete face. 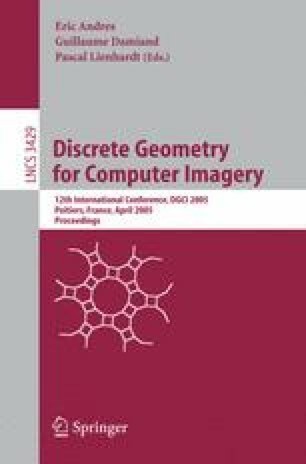 We show how a set of polygons modelling exactly a discrete surface can be computed thanks to this algorithm.